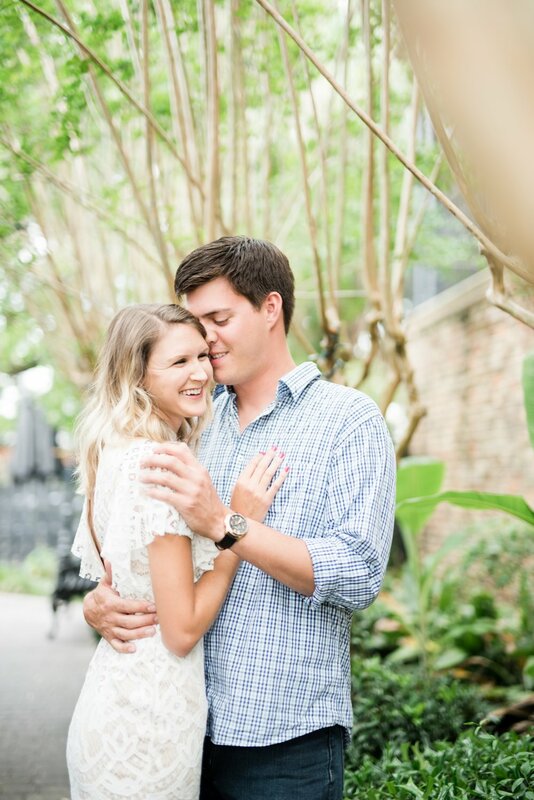 Downtown Fairhope is easily becoming one of my favorite places to photograph couples. The intimate small town perfectly showcases the love they share. I love to meet up with my couples and explore the town letting our imaginations and creativity lead the session. As locals to the area, this fun adventurous couple did just that with me. We started off in the french quarter district and made our way down to the pier. All the fun sights we found along the way made for an amazing time and amazing portraits. Ashton + David's relationship started when they met on Tinder four years ago! They have been together ever since and their love for each other grows daily. 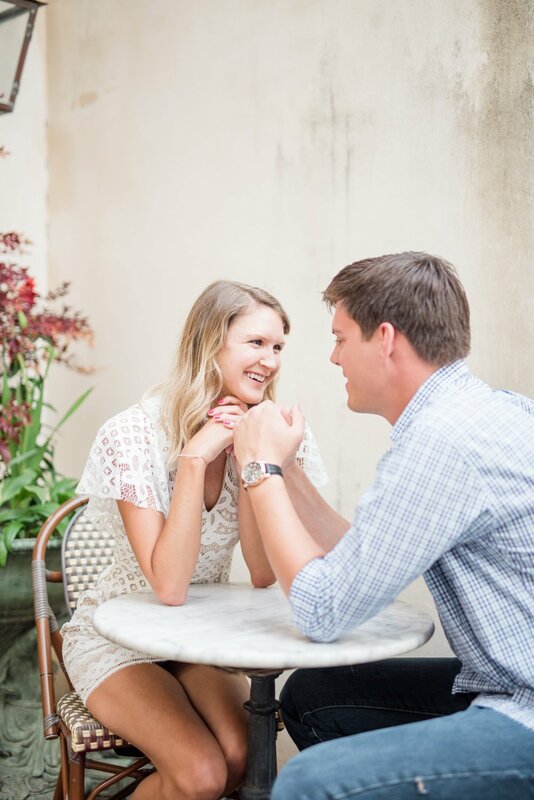 As their wedding approaches, the couple gets giddy when discussing the details of their special day. I hope you enjoy a look at our fun, adventurous photo shoot!